For the past few years, cannabidiol (CBD) has found the reputation for being the solitary component of the cannabis plant with the superpowers to prevent seizures in children with severe forms of epilepsy. The hype surrounding this compound has been so immense — thanks to Dr. Sanjay Gupta and his CNN “Weed” series — that it spawned an uprising in states legalizing CBD-only medical marijuana programs, as well as contributed to a saturation of fake CBD products being sold all over the country. Even the federal government bought in to the concept of CBD being a miracle drug. The U.S. Food and Drug Administration recently approved the first-ever CBD-based medicine that will soon be distributed on the American pharmaceutical market for children suffering from, you guessed it, debilitating forms of epilepsy. But Canadian researchers say seizures can be controlled by more than just CBD. It seems that tetrahydrocannabinol (THC), the psychoactive cannabinoid that provides users with the stoned effects, may be just as beneficial to helping kids stay seizure free. 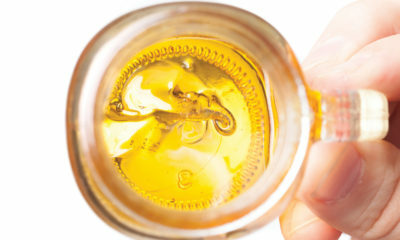 Researchers at the Hospital for Sick Children in Toronto recently determined that cannabis oil containing both CBD and THC is not only effective in preventing seizures in children with Dravet Syndrome, but it does it in a way that is safe and tolerable. To come to this conclusion, a small group of children with this rare form of epilepsy — patients that have not responded well to traditional anti-seizure medications — were given CBD oil with a small dose of THC. Although CBD alone has been shown to sometimes keep kids seizure free for years, researchers wanted to see if even a minute amount of THC would strengthen the results. It did… and without causing the children many ill effects, according to the study published in the Annals of Clinical and Translational Neurology. While CBD undoubtedly has excellent therapeutic properties when it comes to controlling seizures, there is a body of evidence that shows THC can be just as effective, if not more. The only problem is kids exposed to too much THC can experience negative side effects. Not that the compound poses an extreme detriment to their health — it is still safer than most pharmaceutical drugs — but it has been known to cause increased anxiety, lethargy and a number of other side effects. Researchers said they wanted to try to get to the bottom of the threshold to learn how much THC is too much, and does it even come provide enough medicinal benefit to matter? The outcome was mostly positive. Although some of the children involved with the study did experience an increase in their seizure frequency, McCoy said the uptick was likely due to the unpredictable nature of Dravet’s — not the addition of THC. Still, figuring out how THC can benefit epilepsy patients is far perfected. Researchers said the majority of the children experience a variety of side effects ranging from sleepiness to diarrhea. Yet, these effects eased up once the kids adjusted to the CBD/THC mixture. McCoy believes this study is stepping stone to determining proper dosage and safety. “We observed promising clinically beneficial effect’s including a reduction in seizure frequency and improvements in certain aspects of adaptive functioning and quality of life measures,” McCoy said. TELL US, have you seen positive results from using cannabis?